The modern-day explosion in data has presented new challenges for interpreting financial reports to uncover meaningful insight. We often struggle to be efficient with the resources we have and the data we use to make our decisions, whether we’re talking with a new customer or an existing one. The insight in a credit report isn’t always obvious, but it is plentiful. 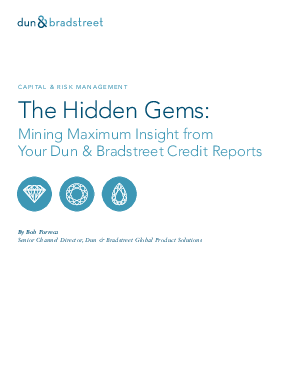 Take the mystery out of these reports and find a methodology for mining the value from their less commonly utilized parts.